Which cricketer has been named India's best international cricketer of the year by the BCCI, making him the first player to win the top honour three times ? Name the first state to extend the mid-day meal scheme for girls up to class 12 ? World Wildlife Day is observed on ? What is the Theme of World Wildlife Day 2017 ? 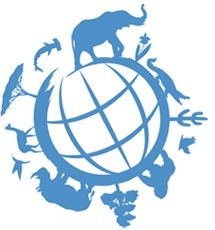 The World Wildlife Day was proposed by which country ? The Indian Navy has successfully conducted the maiden firing of an anti-ship missile from first of the indigenously built __________ submarines, during its test firing in the Arabian Sea. The Anthem for the 2017 edition of the Indian Premier League (IPL) was recently released. Name it ? HDFC Bank, ICICI Bank and Axis Bank have started charging a minimum of ₹______________ per transaction for cash deposits and withdrawals beyond four free transactions in a month. Pakistan’s Amjad Hussain B Sial has recently assumed the charge as the Secretary-General of SAARC. What is SAARC ? The government has notified a law that makes the possession of more than how many scrapped notes by individuals a criminal offence ? Name the publishing company, which has signed a deal to publish two forthcoming books by former US President Barack Obama and the former first lady Michelle Obama, who plan to write about their time in the White House ? Which University has won the annual Visitor's Award for the 'Best University', 2017 ? Dr. Deepak Pant has won the Visitor's Award for 'Innovation'. He is from which university ? Name the Indian grandmaster, who has won a Bronze medal at the 2017 Women's World Chess Championship in Tehran ?